There is also Renee’s dog Mya who greets everyone with a hearty hello bark; you can read more about her on her own page! We all strive to create an inviting, warm and informal environment. Renee Lozano, LCSW, Approved Consultant in EMDR, EMDR Certified Therapist — Renee specializes in the area of trauma recovery for civilian and law enforcement clients, whether it’s a single incident trauma or an unfortunate series of multiple traumas in a person’s life often using Eye Movement Desensitization and Reprocessing or EMDR. EMDR, is a specialty treatment that helps accelerate the client’s ability to process information relating to traumatic events. 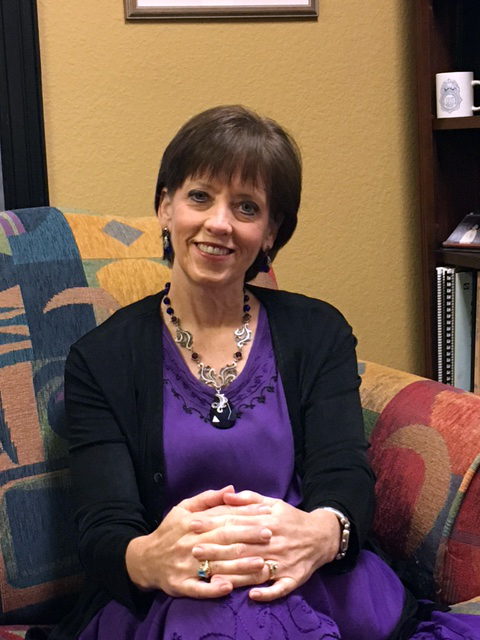 Renee works with individuals to achieve healthier relationships with themselves and others. This may include: abuse and other traumatic experiences, depression, anger, anxiety, codependency and general life and job stress. Renee’s goal is to help her clients attain the goals they’ve identified for themselves, which usually leads to greater emotional, mental and behavioral health and balance in their lives. The therapeutic relationship and process takes commitment and can be difficult at times but the result of that commitment can be increased insights, skills and esteem necessary to feel better and triumph over the problems that brought them to therapy.